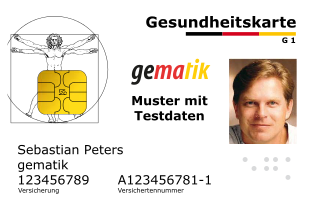 According to the German Social Code Book V (SGB V), as a student in Germany, you can also be exempted from the compulsory public health insurance (in german: GKV) and change to a german private health insurance company (in german: PKV). For this you have to make an application for exemption within the first three months after the start of the study. The exemption request must be made to any of your local public health insurances (Ortskrankenkasse) at the city of your residence or place of study. This can be done in writing, no special form is needed. The validity period for the exemption from the student health insurance in Germany is the period of study and during this time the exemption is irrevocable. Unless otherwise a compulsory insurance appears, such as entering into employment with a full social insurance (sozialversicherungspflichtiges Arbeitnehmerverhältnis). …5. by enrolling as a student or as a trainee (§ 5 paragraph 1 No 7 or 8). … (2) The request must be filed within three months after the start of compulsory insurance deadline at the health insurance office. The exemption from compulsory insurance is given if no benefits were claimed since that date, usually from the beginning of the calendar month, following the application. The exemption cannot be revoked.